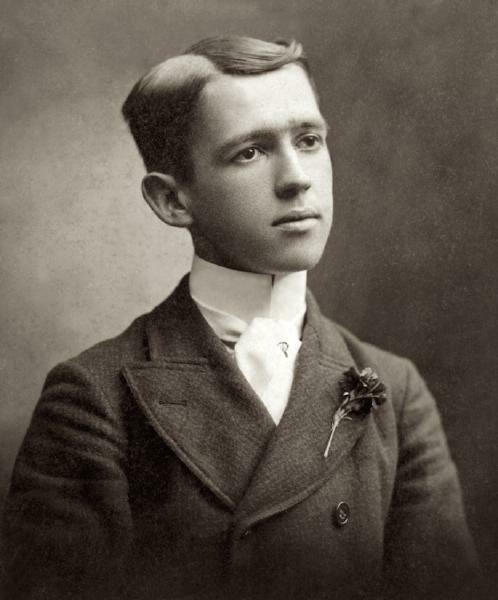 Conrad Eason Cook was born on 23 May 1880 in Mississippi. Conrad Evelyn Cook and Frances Isabella Mangum appeared in the US federal census of 1 June 1880 in Yazoo, Yazoo County, Mississippi. Other members of the household included Conrad Eason Cook, Ethel S. Cook, Fannie Isabel Cook and Evelyn Courtney Cook. Also in the household were two female domestic servants. Conrad Evelyn Cook and Frances Isabella Mangum appeared in the US federal census of 1 June 1900 in Montgomery, Alabama, at 222 Court Street. Other members of the household included Conrad Eason Cook, Ethel S. Cook, Fannie Isabel Cook, Evelyn Courtney Cook, Robert Mangum Cook and May Avery Cook. Conrad and daughter Evelyn also were enumerated in New Iberia, Louisiana, where he was practicing as an Ear, Eye & Nose Doctor. The following appeared on 19 July 1902 in The Montgomery Advertiser: At the family residence, 222 South Court Street, Mrs. Cook, wife of Dr. Conrad Cook, died at an early hour yesterday morning, after a lingering illness. Her remains were sent last evening to Yazoo, Adams county, Miss., for interment. Mrs. Cook was well known in Montgomery, having been a resident of this city for about twelve years. In 1873, at the home of her parents in Yazoo, Miss., she was married to Dr. Conrad E. Cook of Wetumpka, Ala.
About 1890 Dr. and Mrs. Cook moved to Montgomery, and since that time have lived on South Court Street. Mrs. Cook's death was caused from tuberculosis of the lungs. She has been affected with this malady for years, and her death, although a shock, did not come unexpectedly to the family. Mrs. Cook leaves a husband and four children to mourn her loss: Conrad E. Cook, Jr., who is a shipping clerk for Hobbie and Teague; Misses Ethel, Evelyn and Fannie Cook. Dr. Cook is a brother of Messrs. Geo. W. and E. T. Cook and Mrs. Dr. Blue, all of this city. The funeral party left last evening for Yazoo, Miss., where her remains will be laid at rest in the family burying ground. He married Ethel Mathilde Sellers, daughter of Anderson Moseley Sellers and Georgia Anna Bussey, on 23 February 1905 in Montgomery, Alabama, at the Court Street Methodist parsonage. The following appeared on 23 February 1905 in The Montgomery Advertiser: Mr. Conrad Cook and Miss Martille Sellers were married tonight at the Court Street Methodist parsonage. The marriage was unexpected and is a great surprise to their friends. The following appeared on 23 November 1906 in The Montgomery Advertiser: The 3-weeks-old daughter of Mr. and Mrs. Conrad E. Cook, Jr., died yesterday afternoon at the family residence at 232 Pleasant Avenue. The funeral will take place this morning at 10 o'clock at the residence. Conrad Eason Cook and Ethel Mathilde Sellers appeared in the US federal census of 15 April 1910 in Montgomery, Alabama, at 232 Pleasant Avenue. Other members of the household included Dorothy Cook and Conrad Eason Cook Jr. He was employed as a shipping clerk by a grocery store, according to the 1910 census. Conrad Eason Cook registered for the draft on 12 September 1918 in Montgomery County, Alabama, while living with his wife Martile at 323 Pleasant Avenue in Montgomery, and employed there as a clerk with Belser Grocery Company at 115 Coosa Street. The following appeared on 13 November 1919 in The Montgomery Advertiser: Mary Louise Cook, six year old daughter of Mr. and Mrs. Conrad Cook, died at their residence, No 232 Pleasent Avenue, Wednesday evening, at seven o'clock, following an illness of a few days. Her funeral will take place from the residence, No. 232 Pleasent Avenue, Thursday morning at 11 o'clock. Interment will be at Greenwood Cemetery. Conrad Eason Cook and Ethel Mathilde Sellers appeared in the US federal census of 1 January 1920 in Montgomery, Alabama, at 232 Pleasant Avenue. Other members of the household included Dorothy Cook, Conrad Eason Cook Jr. and Sellers Cook. He was employed as a clerk in a grocery store, according to the 1920 census. Conrad Eason Cook and Ethel Mathilde Sellers appeared in the US federal census of 1 April 1930 in Montgomery, Alabama, at 1612 Panama. Other members of the household included Conrad Eason Cook Jr., Sellers Cook, Dorothy Cook and Robert Mourning Cook. He was proprietor of a wholesale grocery business, according to the 1930 census. Conrad Eason Cook and Ethel Mathilde Sellers appeared in the US federal census of 1 April 1940 in Montgomery, Alabama, at 16 Panama Street. Other members of the household included Conrad Eason Cook Jr., Katherine DeCourcy Pierce, Sellers Cook and Robert Mourning Cook. Also in the household were two female domestic servants. He was owner of a grocery business, according to the 1940 census. Conrad Eason Cook died on 26 June 1949 at age 69 in Prattville, Autauga County, Alabama. His wife Ethel Mathilde Sellers became a widow at his death. He was interred at Greenwood Cemetery, Montgomery, Alabama.